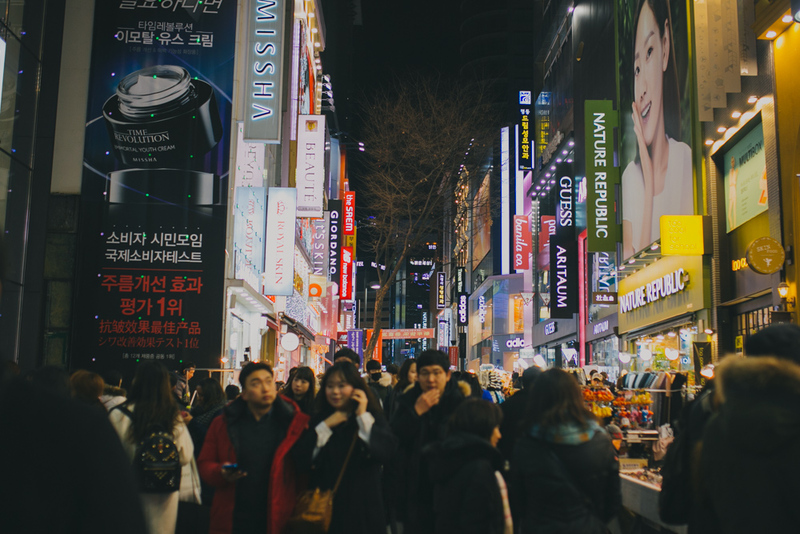 When people think of South Korea, one thing that primarily comes to mind is technology. 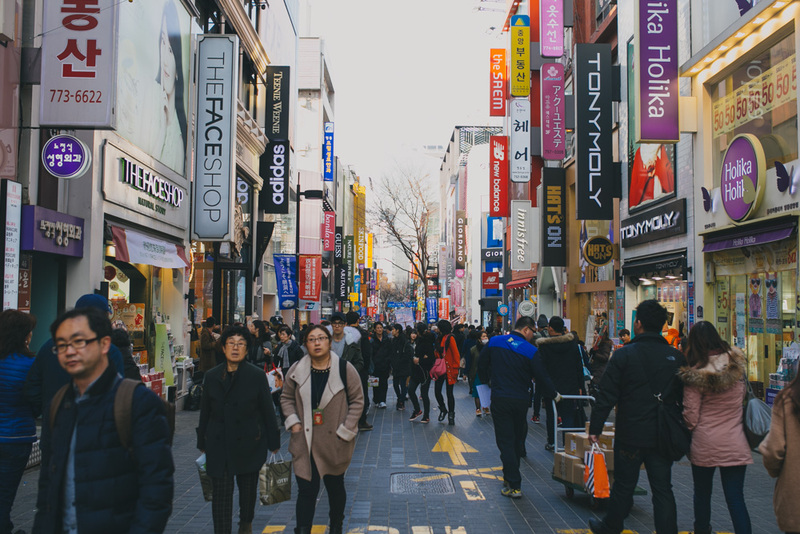 Korea is one of the leading countries in new technology (hello, Samsung!) 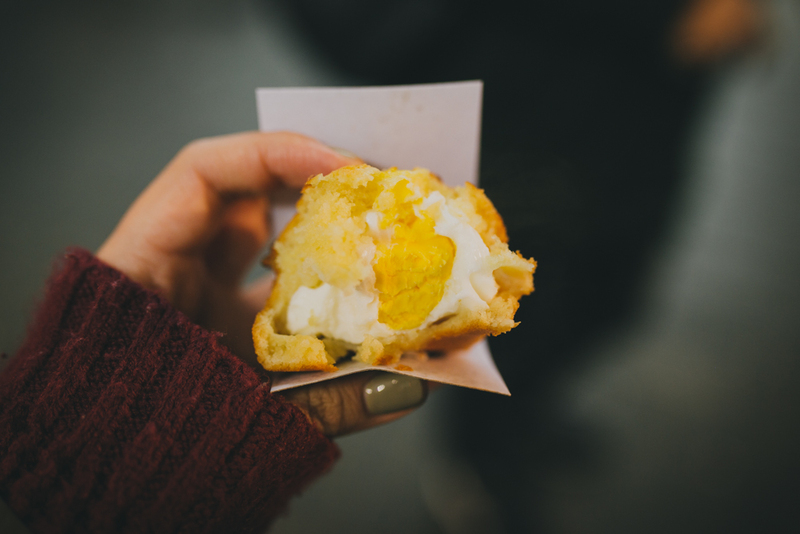 and the way that it permeates the culture is unlike any other country I’ve been to. In the US, I always found the sight of everyone staring at their phones all the time a little sad. 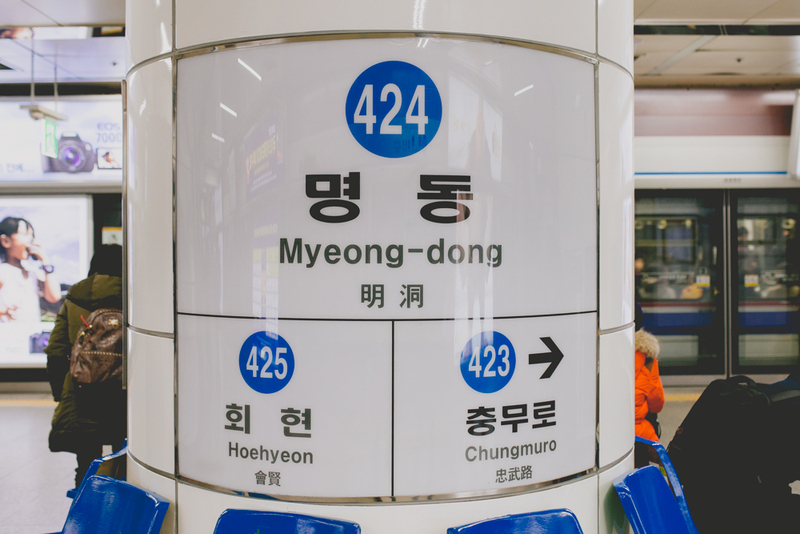 In Korea, it’s not only accepted, it’s embraced. Friends on their phones together at dinner, special apps that are only for couples, watching k-dramas on the metro… technology is just another part of their lives, their phones another appendage. It’s truly a selfie culture. 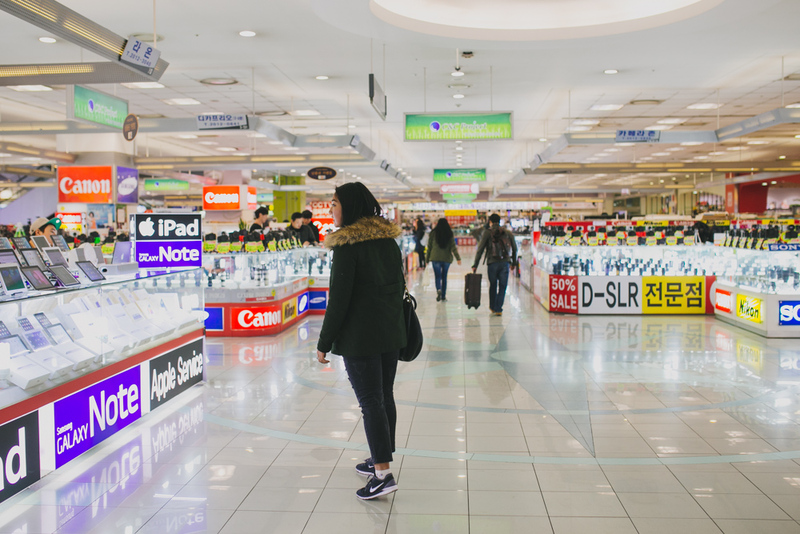 So on our way to Myeong-Dong, Kathy and I stopped by the Yongsan Electronics Market. It’s a giant sprawling space of indoor and outdoor malls with stall after stall of any type of technology you could dream of. This floor was just cameras and tablets, aka my favorite floor. 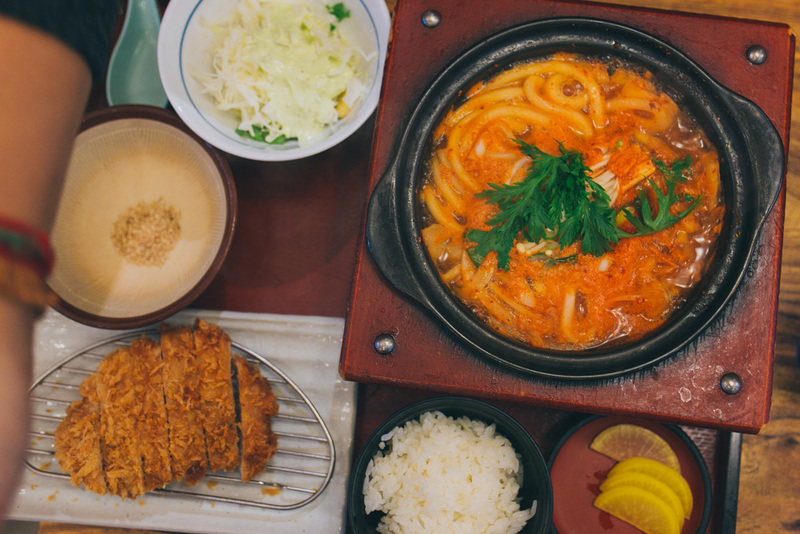 Post-browsing meal of kimchi udon and chicken tonkatsu. 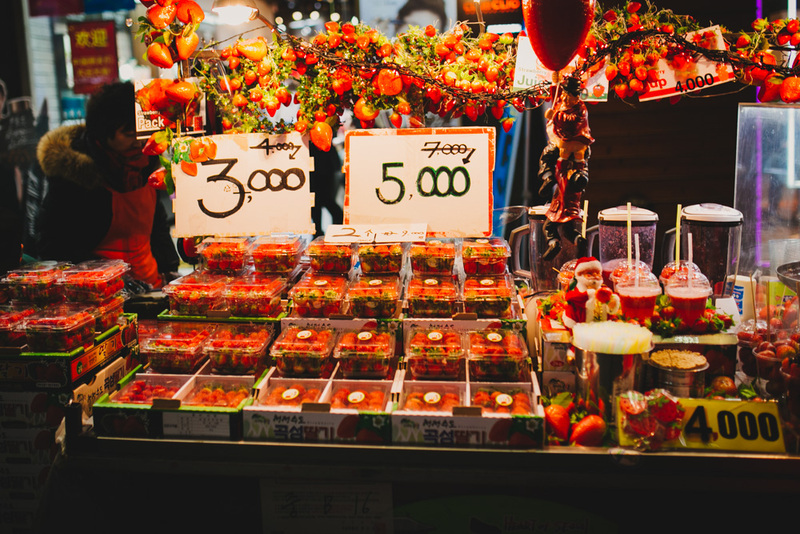 Myeong-dong is similar to Times Square in NYC in that it’s super bright, filled with shops, food stalls, and tourists. 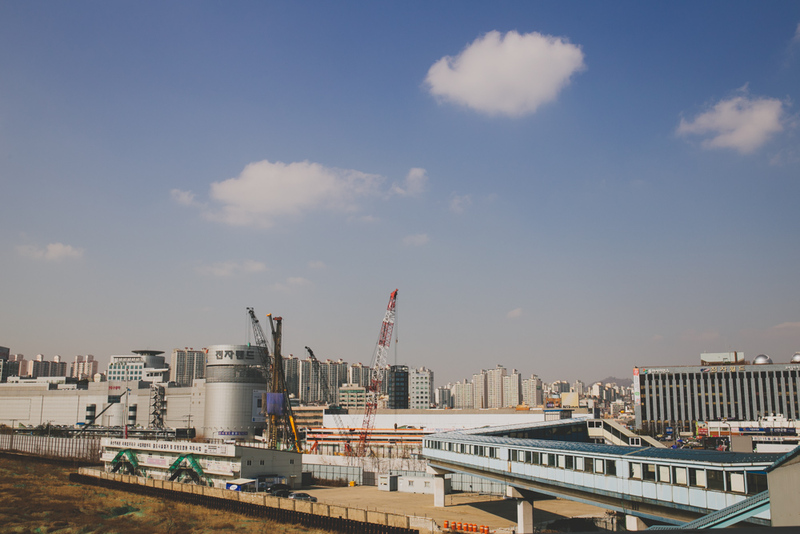 It’s one of the main tourism centers in Seoul. A shop dedicated to colored contacts. 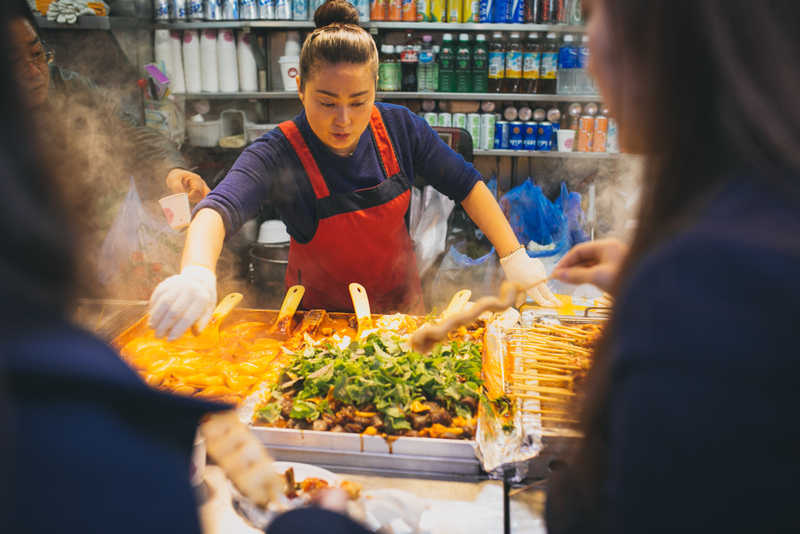 Yessss street food. My favorite part. 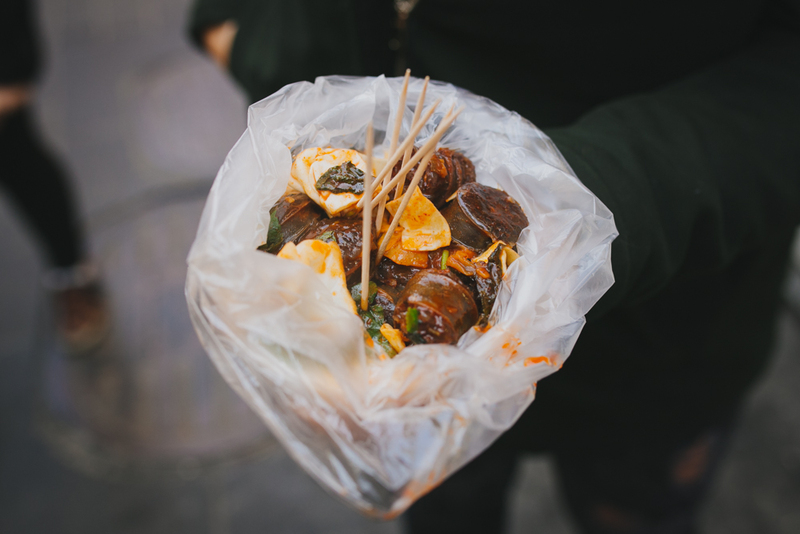 Mmm, soondae: a Korean blood sausage. It’s pork intestine, filled with noodles, barley, herbs, and pork blood. Absolutely tasty and delicious. 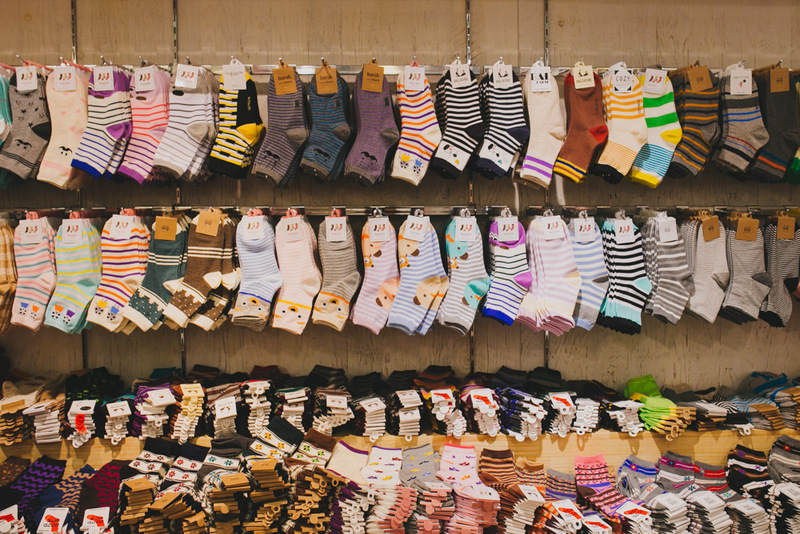 Koreans love their socks. These all cost less than $1. I think I picked up about 10 pairs over the duration of my trip. 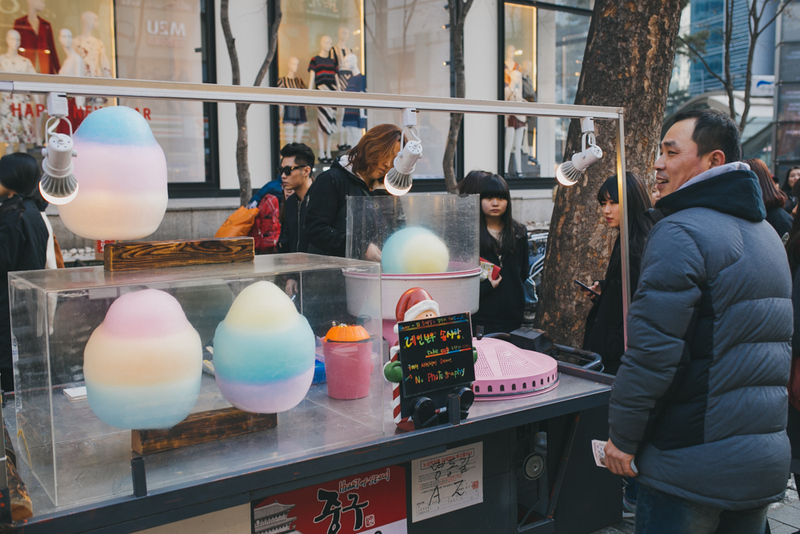 Who knew cotton candy could become an art form? 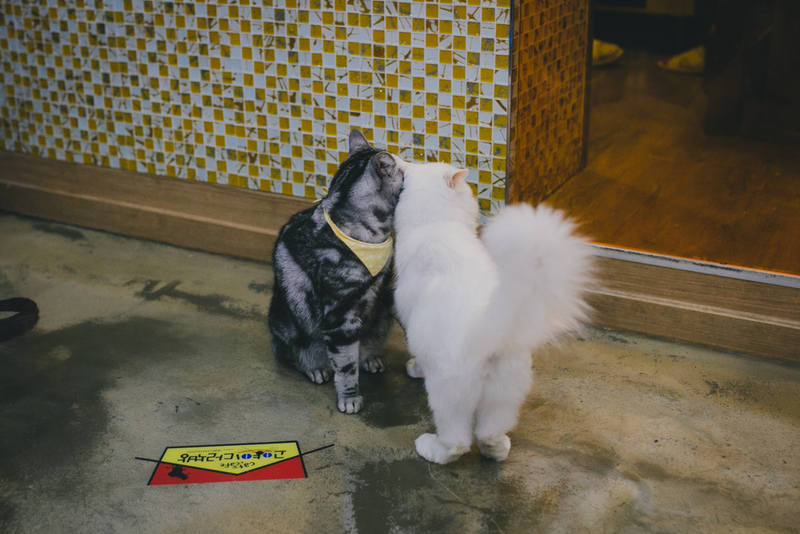 Our favorite part of Myeong-dong, the Goyangi Darakbang (literally “Attic Cat”) cat cafe! 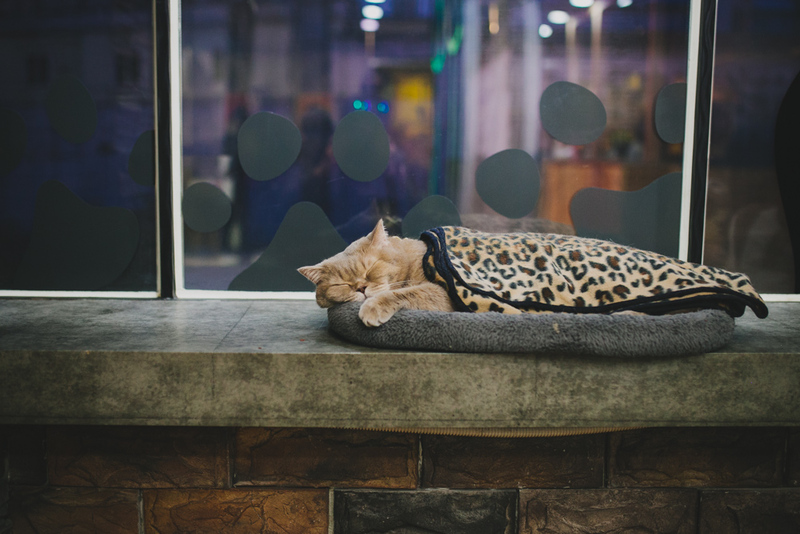 We’re both unabashed cat ladies, so this spot was a must see on our list. 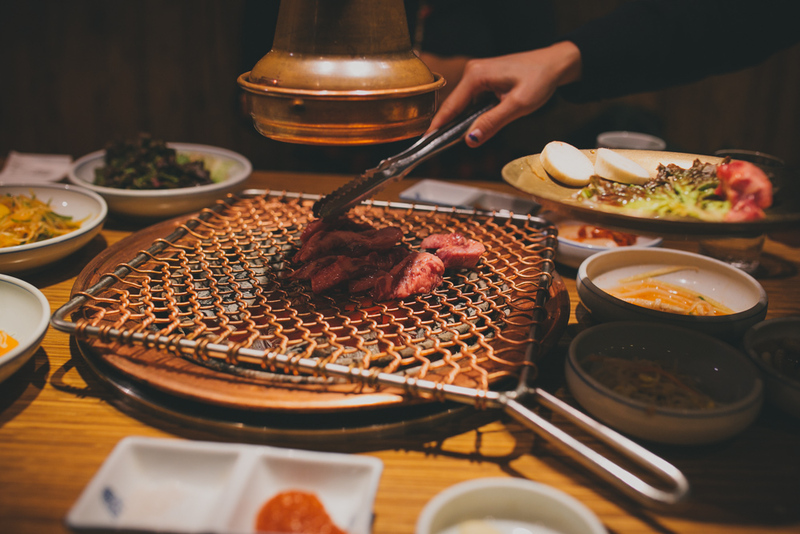 It has an entry fee of ₩8000 (about $8) but that includes a drink and you can stay as long as you like. 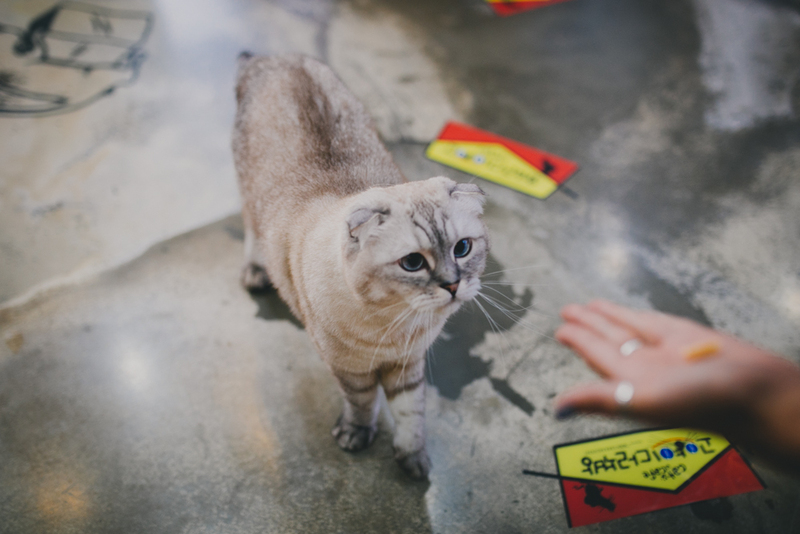 There are about 20 cats of varying ages and breeds in the small cafe, and unlike many house cats, these won’t run away if you try to pet them. 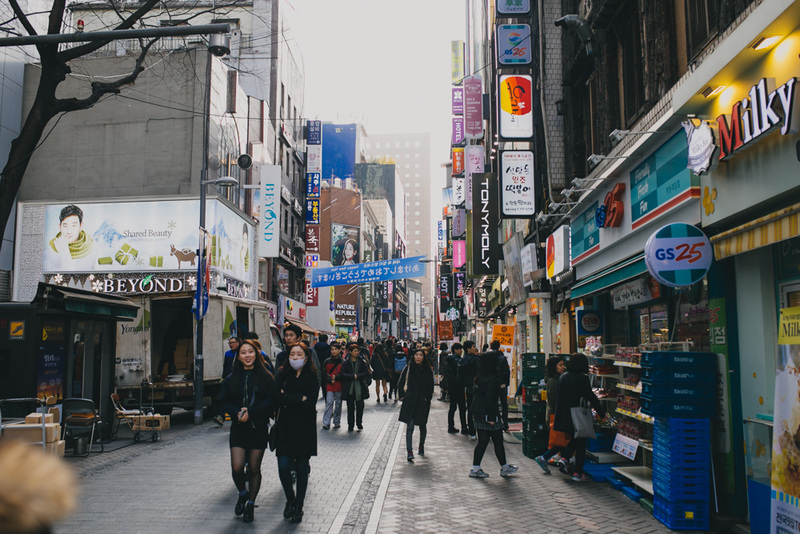 Located at: 51-14 Myeongdong 2(i)-ga, Jung-gu, Seoul. 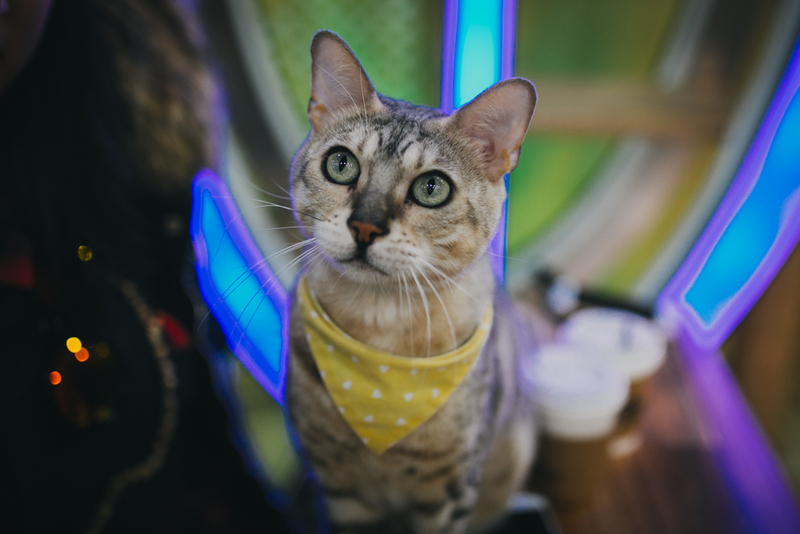 The yellow bandana means “not friendly for children” but this dude was chillin with us the entire time. 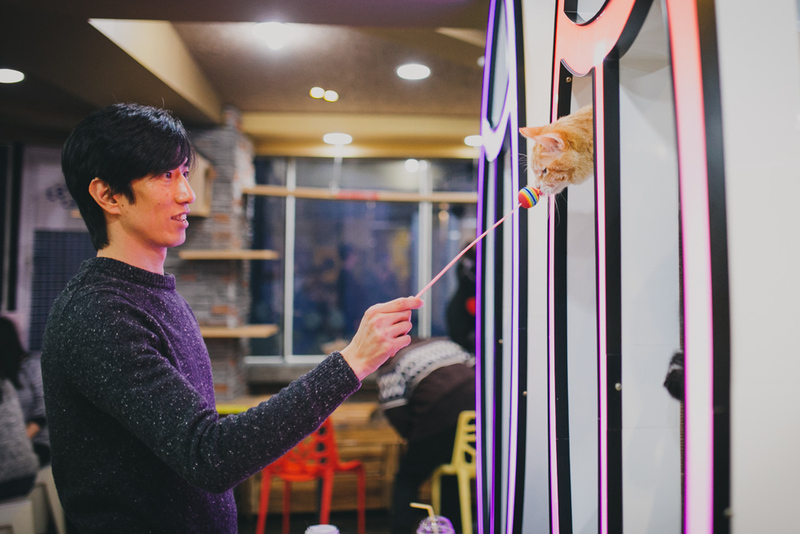 The workers of the cafe are able to handle cats unlike anyone I’ve ever seen. 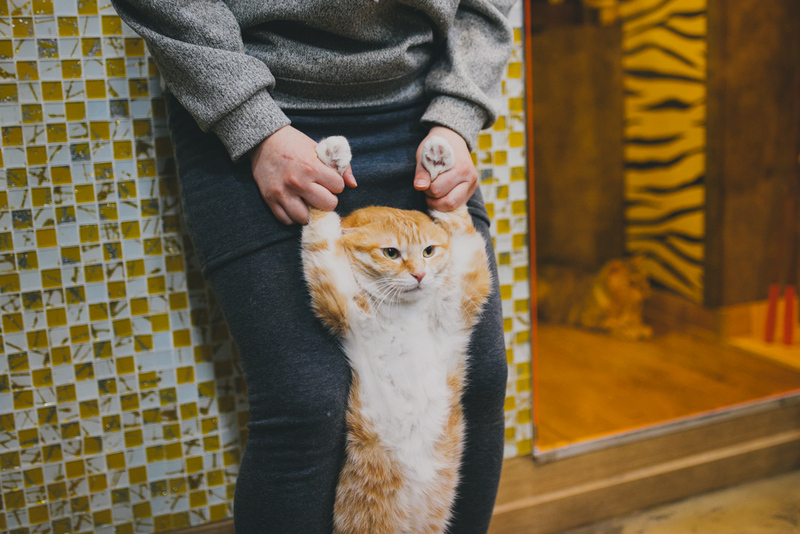 This cat is not amused, but if I tried to do this with my cat at home, he would probably claw my hands and never come near me again. 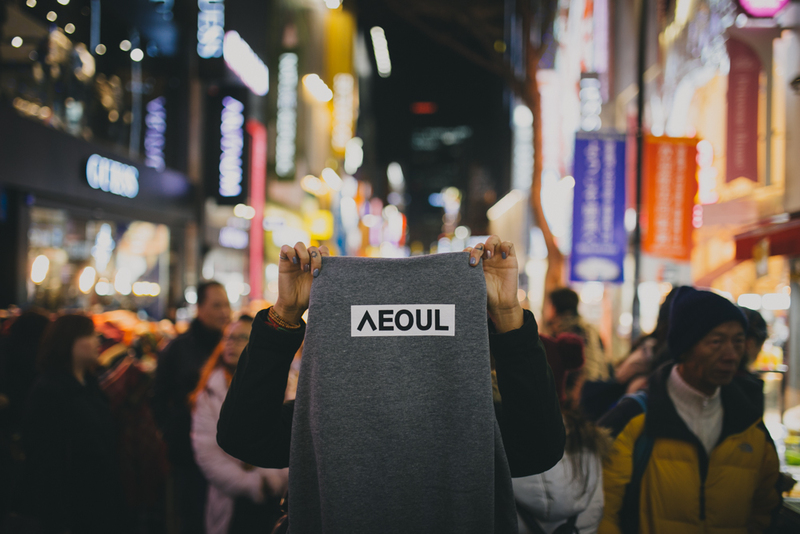 Awesome sweatshirt, spelling Seoul with a hangul “S”. 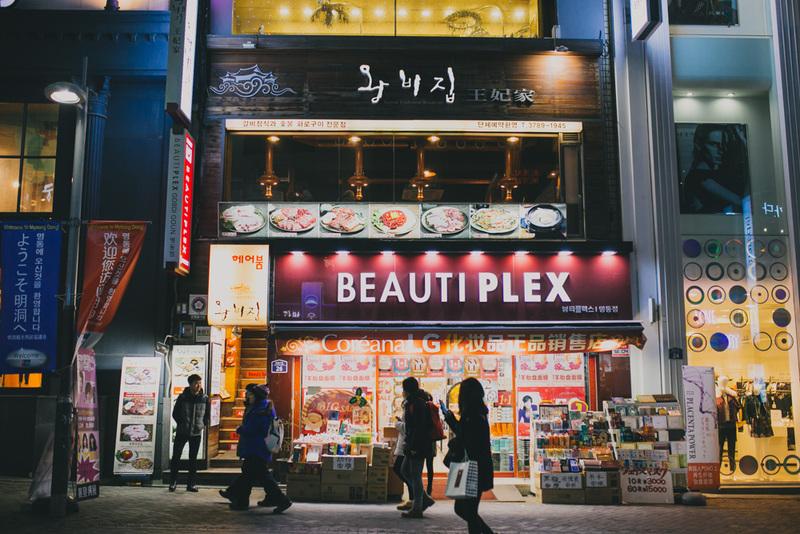 Above this cosmetics store was one of the most beautiful places I’ve ever seen…. 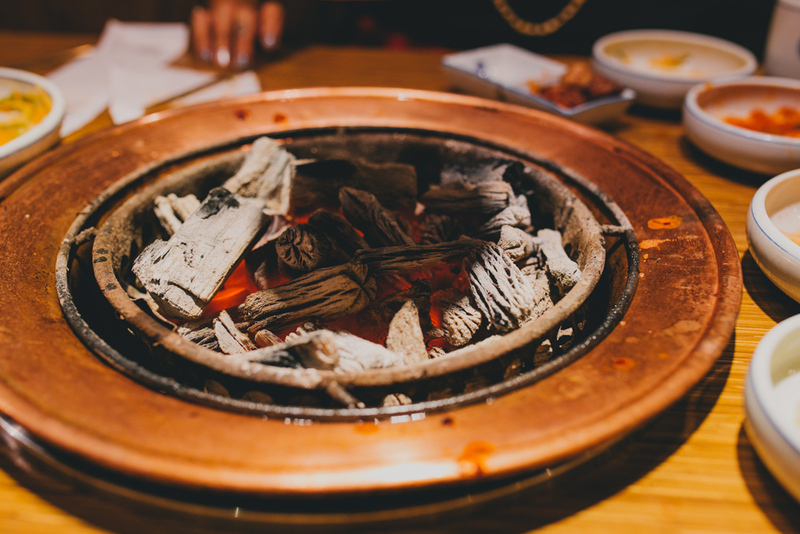 …a delicious, authentic, Korean BBQ spot. 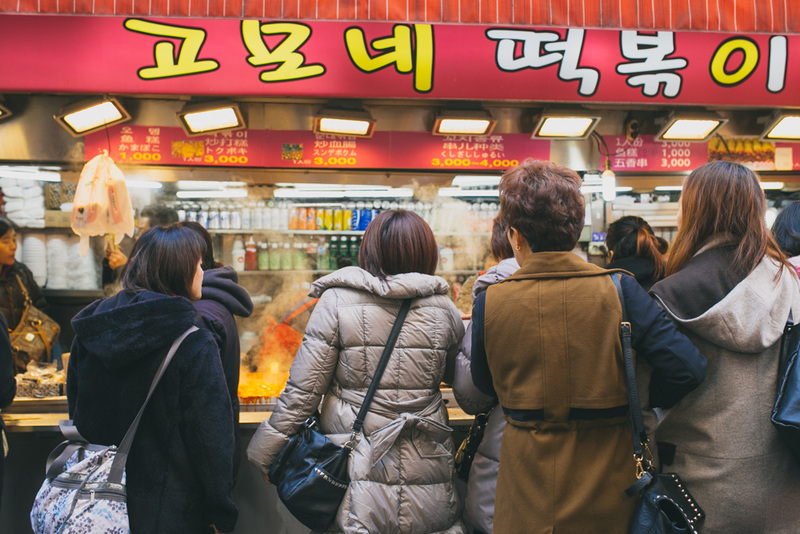 Wangbijib (왕비집 명동본점), one of the most popular spots in Seoul, was worth the wait. 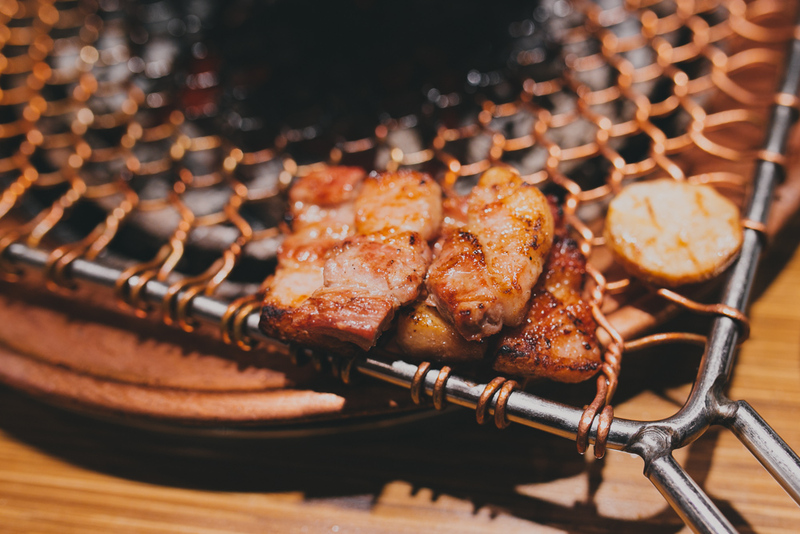 The bbq is cooked by one of the servers over a coal pit in the middle of the table. 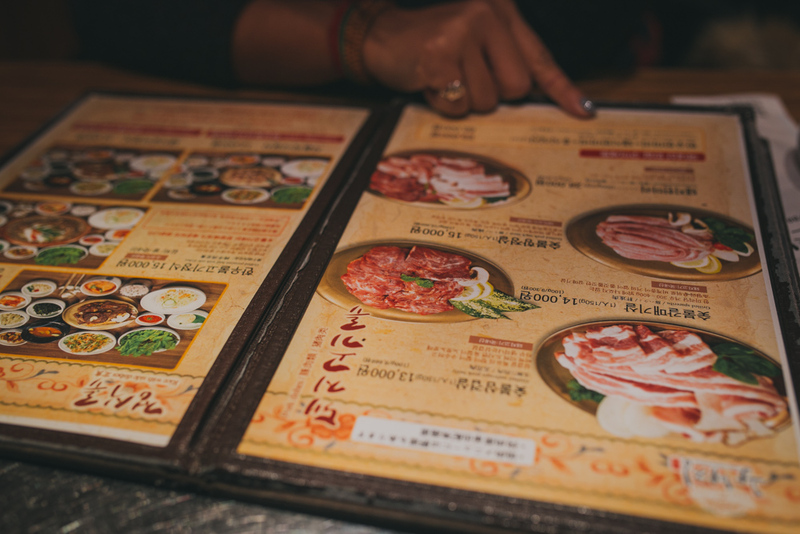 We chose to go with the traditional beef cut along with a pork belly dish. The entire meal cost us about $40, and it was worth every penny. 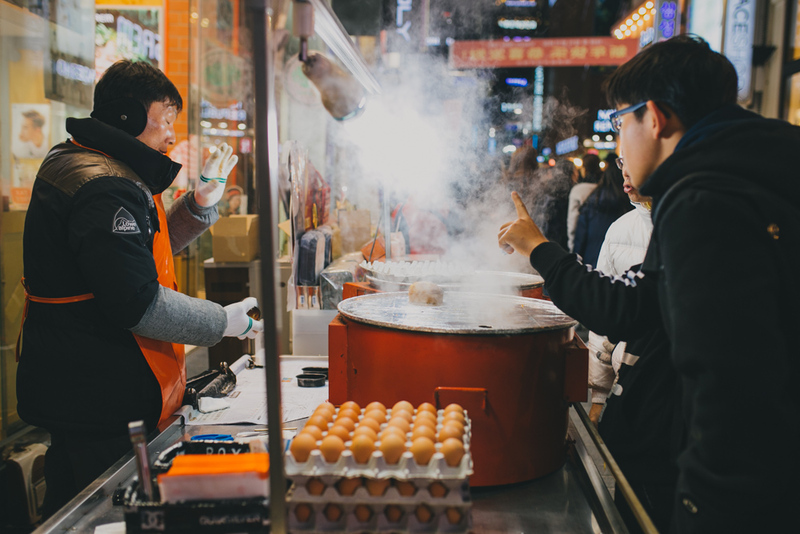 Located at: 2F 63-6 Chungmuro-2ga, Jung-gu, Seoul. 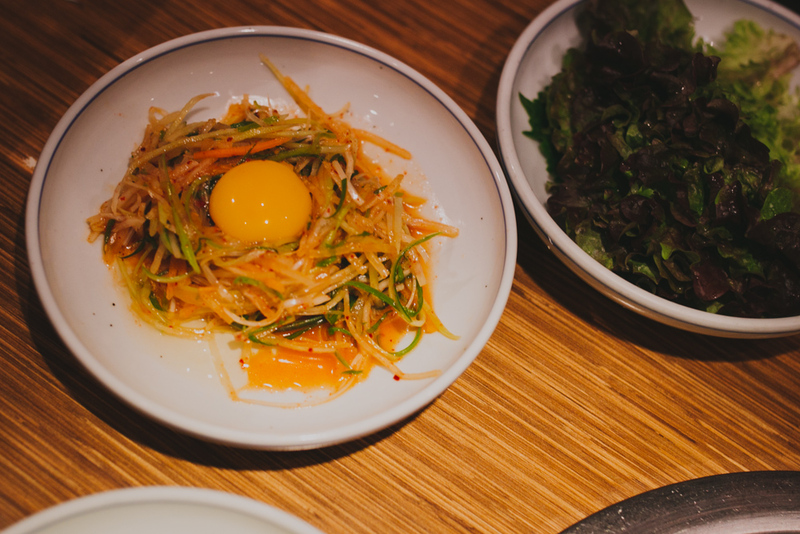 Egg yolk on a cucumber/noodle salad, a traditional k-bbq side dish. Just a delicious pile of meat being cooked to perfection right in front of us. 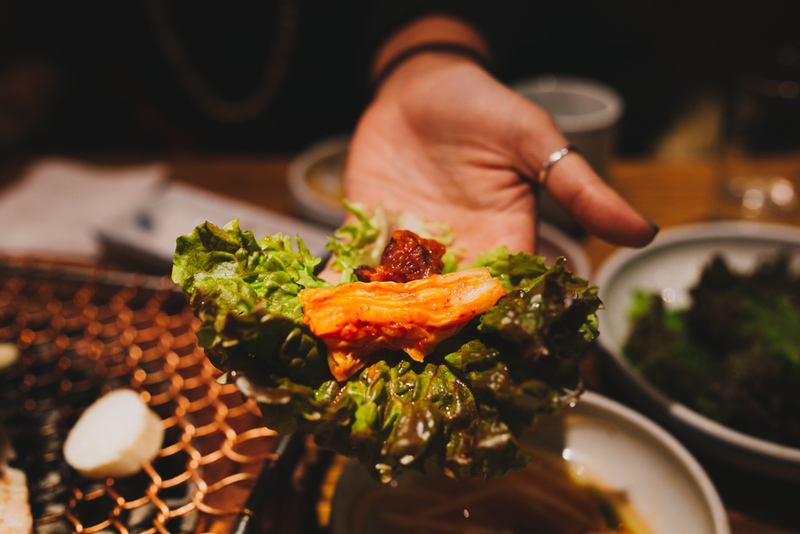 The standard way to eat Korean BBQ: take a lettuce leaf, place a piece of meat, kimchi, and other sides, wrap it up and eat it in one bite. My personal favorite touch was adding some grilled garlic on top. Succulent amazing pork belly. Food coma for days after this meal. However, we still had enough room for dessert: a plain cookie-cracker baked into a ball shape and covered in chocolate. You smash it with a hammer when you buy it, so you can eat the pieces. Perfect way to end the day. 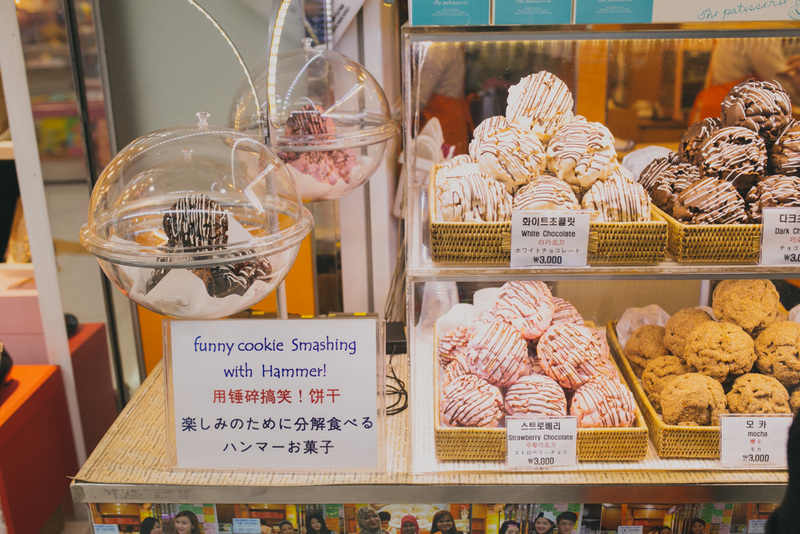 May i know what’s the shop name for the cookie? I don’t, but they have them all over! I got mine in the Yeongdeungpo station!